Spring is here! The weather is getting warmer. The air is filled with the pungent aroma blooming flowers. Friendly outdoor get-togethers will be more and more frequent. 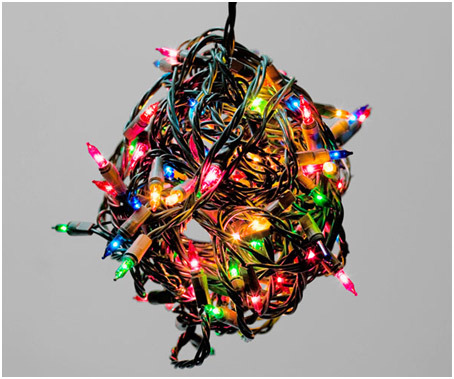 Get rid of the simple strings of lights hanging over the patio! 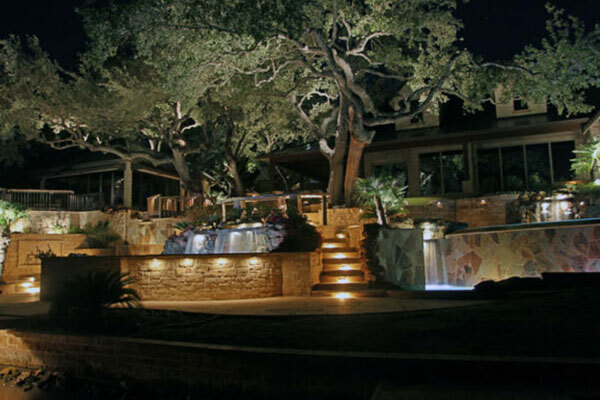 If you’ve got an outdoor kitchen, fire pit or dining area, we can help you transform it into a magical nighttime space with our custom lighting designs. 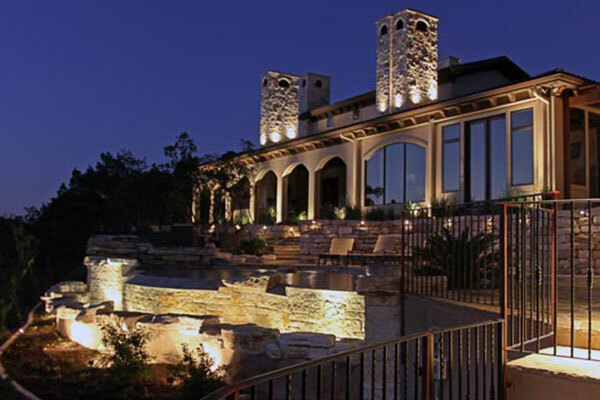 Whether you use this area for casual family cookouts or more sophisticated entertaining, Halo’s designers will create a beautiful illuminated environment for you. 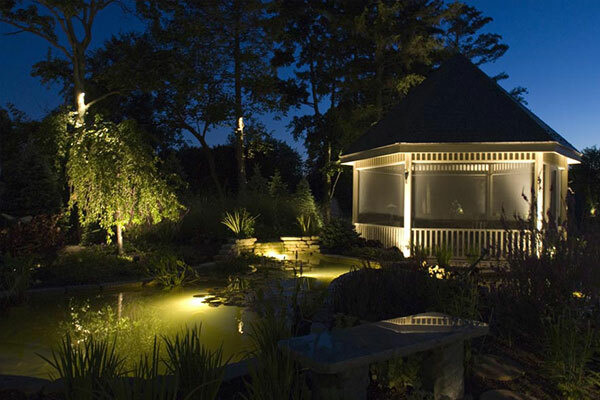 With warmer weather comes evening swim parties, and Halo can provide the stylish illumination to make your pool and deck area something truly eye-catching. 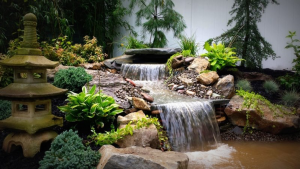 While your guests are dining on the patio or swimming in your newly-lit pool, they can gaze out across your beautiful lawn and landscape that’s been strikingly accented with a custom design by Halo. 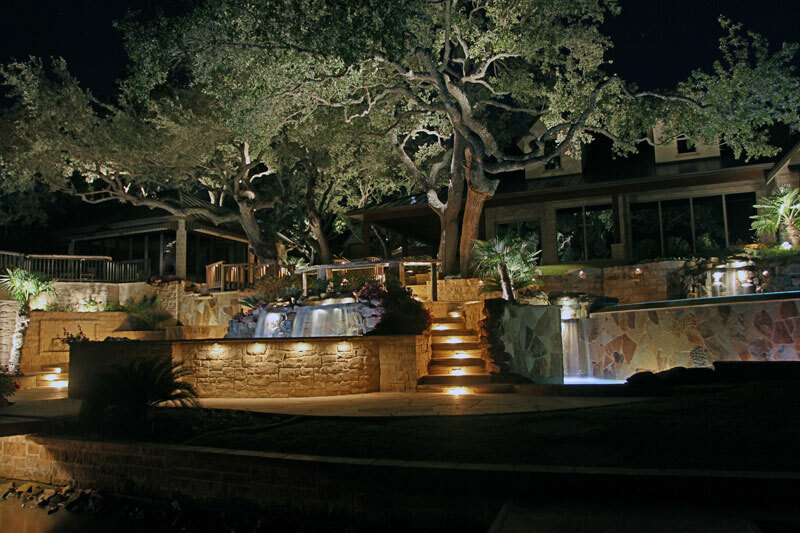 Stair and walkway lighting is not only essential for safety, it also provides a dramatic point of entry. 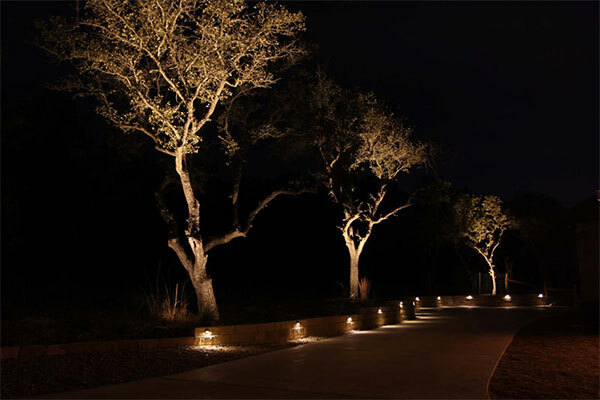 Nothing says “Welcome” like a stylishly-illuminated path that leads to your beautiful home. Contact Halo Outdoor in San Antonio for a free consultation and swing into spring today! San Antonio Customers Love Halo!